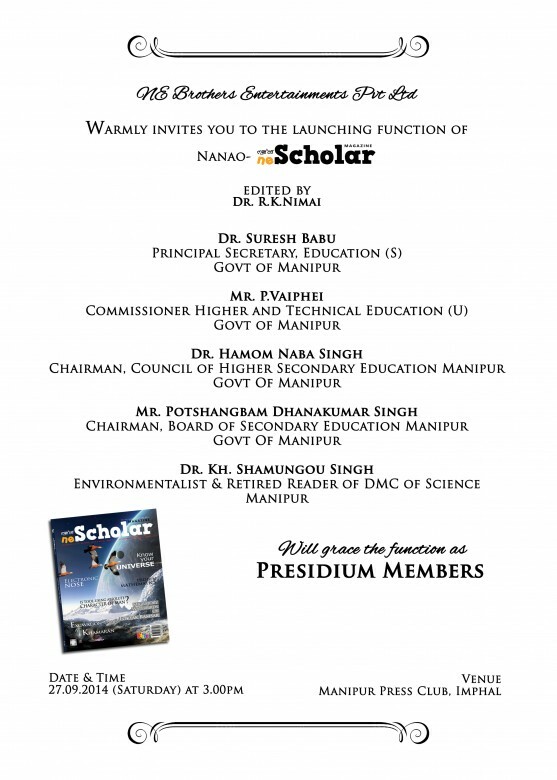 We are happy to announce that the official launching of Nanao’s “neScholar Magazine” will be held on Saturday, 27 September 2014 at 3 P.M. at Manipur Press Club, Imphal. 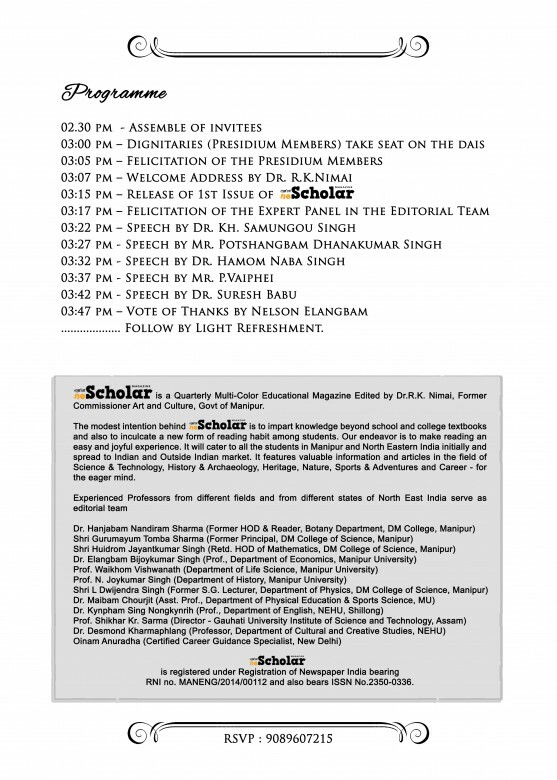 “neScholar Magazine” is a Quarterly Multi-Color Educational Magazine Edited by Dr. R.K. Nimai, Former Commissioner Art and Culture, Govt of Manipur. “neScholar Magazine” is registered under Registration of Newspaper India bear RNI no. MANENG/2014/00112 and also bears ISSN No.2350-0336. The formal releasing function of Nanao-“neScholar Magazine” will be held on 27.09.2014 (Saturday) at Manipur Press Club, Imphal, at 3.00 P.M.